When Supernatural aired in September 2005, the mission was to produce an anthology-style horror show that followed two brothers on their quest to rid the world of evil. Each week, Sam and Dean Winchester would travel across the continental US in their now iconic 1967 Impala, chasing strange news stories and introducing viewers to an array of terrifying ghosts and monsters. The ultimate goal for the young brothers was to track down their missing father, John Winchester, and dispel of the demon that killed their mother. What creator Eric Kripke failed to predict was the natural chemistry between the onscreen brothers, portrayed by Jared Padalecki and Jensen Ackles. Within the span of the first season, Kripke realized that to attract an emotional response that would guarantee Supernatural’s continued success he’d have to shift away from the standalone anthology style series and create a solid story arc. 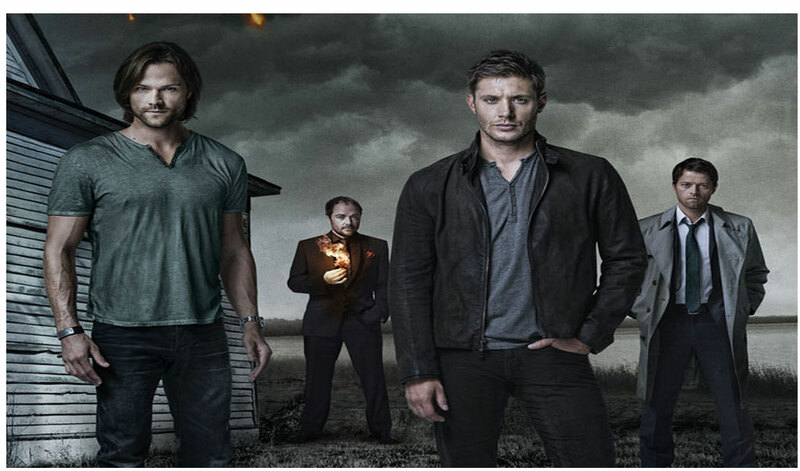 Capitalizing on the stars’ harmony, Kripke turned the focus from the monsters to the humans. Since the preliminary shift into developing the relationship between Dean and Sam, one thing has remained the same: an abundance of “bromances” and a correlating lack of romantic relationships. At the end of season one, we met Bobby Singer. Initially pegged as a one-time appearance, Jim Beaver’s depiction of the gruff but loveable character instantly became a fan favorite. In the absence of John Winchester, Bobby evolved into a father figure to the boys and cemented his place in fans’ hearts. In season four we meet Castiel, an angel of God who was primarily intended to introduce a Christian theology storyline. Misha Collins’ portrayal of the angelic missionary was so well received that he became a prominent member of the monster hunting trifecta and fellow star of the show. His interactions with the Winchester brothers slowly evolve Castiel from an emotionless killing machine to a humanized—if conflicted and socially awkward—confidant and devotee of humankind. The introduction of Kevin Tran—portrayed by Osric Chau— in season seven lead to an alternative perspective to the previous bromances. Kevin is a high school aged genius whose life was thrown into chaos when he was activated as one of God’s prophets. This sudden date with destiny forces the Winchesters to become pseudo caretakers, protecting Kevin from the nefarious beings that wish to enslave him. Kevin’s role in Supernatural triggers a turning point for the Winchesters, causing a seemingly insurmountable rift between the two brothers. Perhaps the most unexpected yet satisfying bromance in Supernatural is between the Winchesters and Crowley, the King of Hell. Crowley’s role is one of debauchery and comedic relief. With Mark Sheppard cast perfectly as the witty monarch, Crowley is introduced in season five as an unlikely ally against Lucifer. Crowley’s relationship with the Winchesters evolves from rivalry to a co-dependency with constant mood swings ranging from affection to abhorrence. Ultimately, these interactions lead to various integral story arcs and explore the gray areas of good versus evil. With predominately male leads and an affinity for killing off female characters, Supernatural is often accused of being sexist or gender-biased. On the contrary, Supernatural plays host to a plethora of strong female characters, both evil and benevolent. This balance between the male-bonding and well-written, powerful women contribute to the show’s success in a way a romantic focus never could. The Winchesters’ nomadic and dangerous lifestyle allows for only brief encounters and one night stands along the road. The few attempts at serious relationships during the twelve seasons have a tendency to end in disaster. While both Sam and Dean have had serious relationships throughout the duration of the show— Dean with Lisa in season six, and Sam with Amelia in season nine—they have never been a focal point. In fact, the majority of both aforementioned relationships happened during the offseason and were addressed only near their end or in retrospect. It’s widely believed that the omission of romantic relationships is what makes the show accessible and has contributed to its longevity. Despite the lack of romance on Supernatural, the show has an array of powerful heroines and villainesses. While the untimely demise of many of these women is a point of contention with fans, the writers manage to excel where so many shows fail: creating multi-dimensional female characters. The inclusion of female hunters begins in the second season, with the introduction of Ellen and Jo Harvelle. Ellen and Jo’s mother-daughter relationship in the hunting world added a nice contrast to the father-son relationship portrayed by the Winchesters. Whereas John Winchester conditioned his sons to be hunters, Ellen strived to keep Jo away from the dangers of the hunting lifestyle. Ellen and Jo quickly became a pseudo mother and sister figure to the Winchesters. The next-generation huntresses, Claire Novak and Krissy Campbell, are both orphaned as a result of supernatural causes at a young age. Both Claire—daughter of Castiel’s angelic vessel—and Krissy—daughter of a hunter—find themselves in need of the Winchesters’ assistance while simultaneously proving that they are capable of saving themselves. The Supernatural writers were able to find a balance between the idea of independence and sometimes needing help, a positive message for young female viewers. 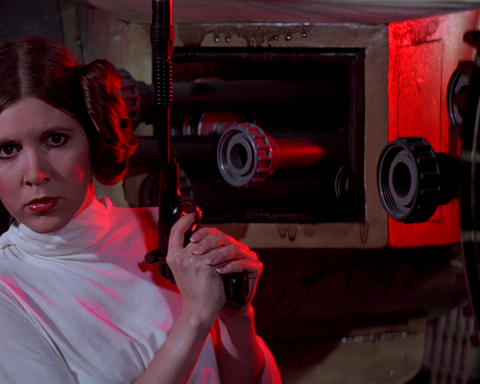 While some huntresses appear briefly, two in particular obtained recurring roles and became fan favorites. Sherriff Jody Mills is introduced in season five’s episode Dead Men Don’t Wear Plaid when her late son returns from the grave and kills her husband. This close encounter makes Jody hyperaware of the monster-filled world around her and leads to recurring encounters with the Winchesters. Charlie Bradbury—played by the infallible Felicia Day—made her mark from seasons seven through ten. Described by Dean as “the little sister I never wanted,” Charlie is a self-proclaimed nerd with a genius level IQ. Her geeky references and goofy personality would often diffuse the tensest of situations and made Charlie a lovable addition to the monster-fighting family. Charlie’s sacrificial death in season ten added a new element of tragedy to the Winchesters’ already woeful existence. It is yet unknown if Charlie will make a post-mortem appearance like many of her ill-fated predecessors. Supernatural has played host to countless female vampires, werewolves, and other common monsters. Meanwhile, creatures like the Amazons and Eve were specifically female. 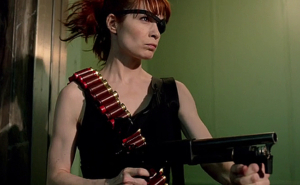 Many of the scariest and most powerful villains on Supernatural have been women. Most memorable perhaps is Abaddon, Knight of Hell. Played by Alaina Huffman – best known for her time on Stargate: Universe – Abaddon is a fiercely ambitious demon with her eye on Crowley’s throne. Resourceful and relentless, Abaddon is one of the most challenging and intriguing adversaries the Winchester brothers have to face. Amara—also known as The Darkness—is the one truly invincible villain in Supernatural. Sister of God, Amara’s mission is comparable to that of The Nothing in The Neverending Story: the complete and utter destruction of the universe. While never defeated, Amara was eventually convinced to abort her mission and leave the world in peace. As a parting gift, she left the Winchesters with what they needed most: their mother. Mary Winchester is the character that started it all. Mary’s death is the defining moment that launches John Winchester into a vengeful rage and starts his and his sons’ lives as hunters. Mary makes numerous post-mortem appearances via hauntings, alternate realities, and time travel. As the show progresses, Dean and Sam learn that Mary comes from a long line of hunters, but gave up the lifestyle to start a family. Upon her return in season twelve, Mary is ready to step back into her roles as both a loving mother and a mighty huntress. For some, the classic rock soundtrack and pop culture references galore would be enough to make Supernatural a hit series. Those who look for a strong storyline and character development would agree that Eric Kripke made the right decision when he changed directions after season one. While it would be wonderful to see increased permanency of the female protagonists, Supernatural is inclusive of different races, sexual orientations, body types, and lifestyles. Despite the male-dominated lead roles, numerous female characters have contributed to the Supernatural universe. 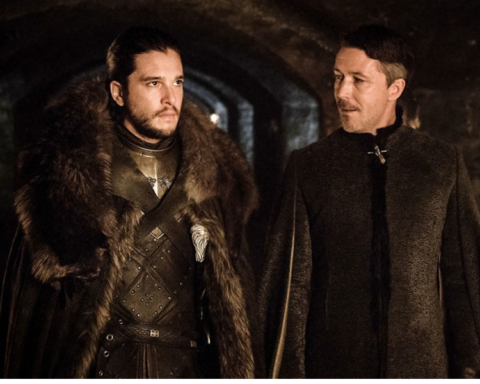 Meanwhile, the focus of the show continues to be about brotherhood, loyalty, saving people, and hunting things—the family business.